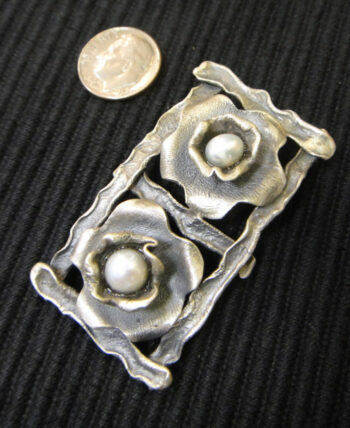 This fresh water pearl and sterling silver pendant features an antiqued sterling silver flower design. This fresh water pearl and sterling silver pendant features an antiqued sterling silver flower design. 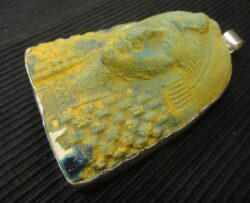 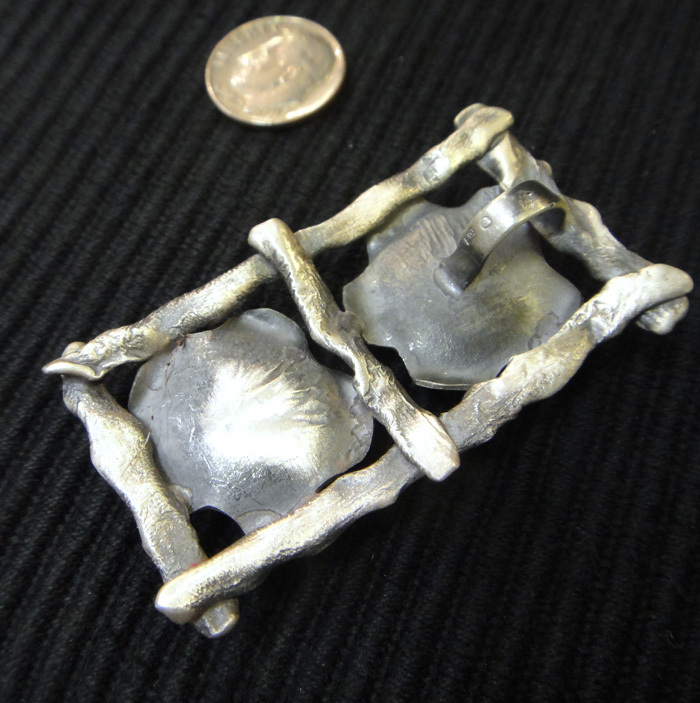 This medium sized pendant measures approximately 2.1” long by 1” wide including the bail (or loop for chain). Please note that the dime is not included but shown to help you gauge the size of the pendant. 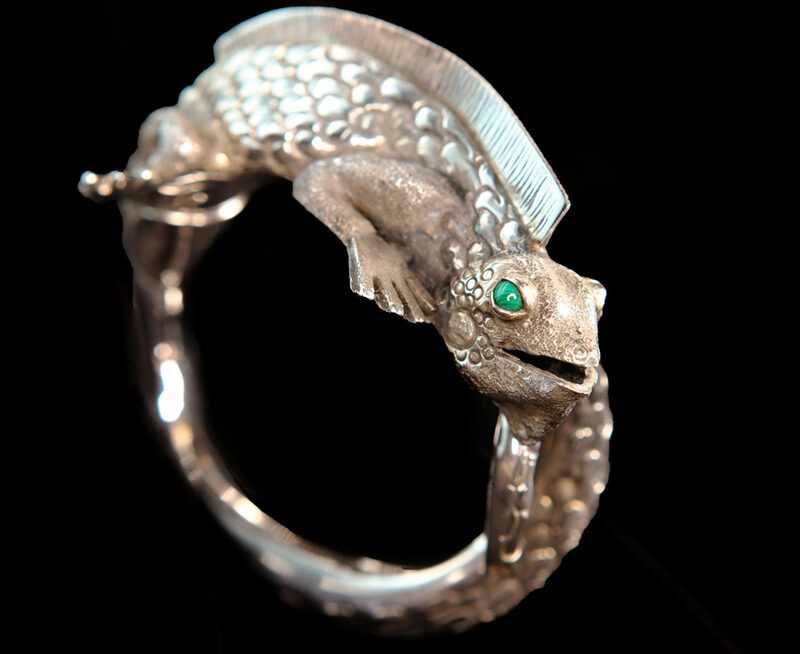 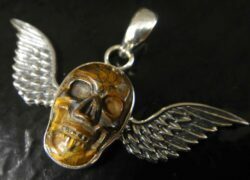 The sterling silver setting is handcrafted and antiqued so that the silver appears gray in color. 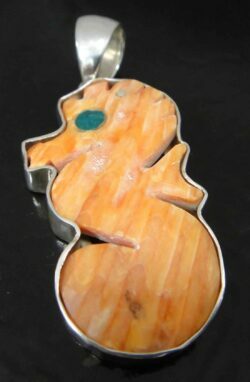 This pendant would be a great gift for anyone who loves pearls, flowers, or handmade jewelry. 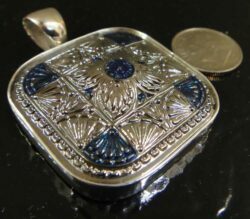 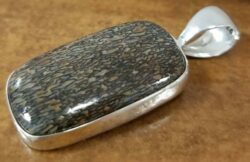 The pendant is stamped on the back with “.925” so you can be sure you are getting only genuine .925 sterling silver jewelry. 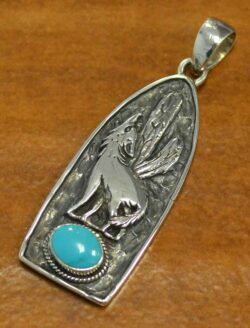 This pendant comes with our original store tag as well as our store’s gift box that is great for giving or storage for years to come.